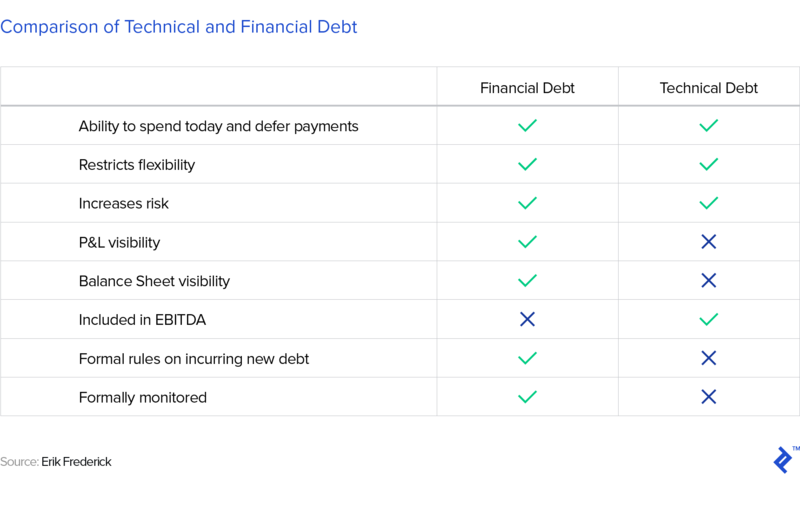 Home Development API How Does Technical Debt Affect a Business Financially? 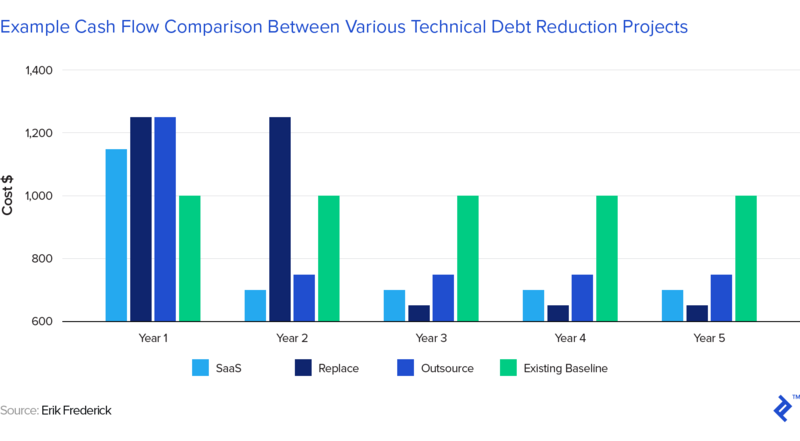 How Does Technical Debt Affect a Business Financially? An example would be having an ERP system that is in a vicious circle of being so old and customized that it can’t be upgraded, as it would be a messy “rip and replace” effort. 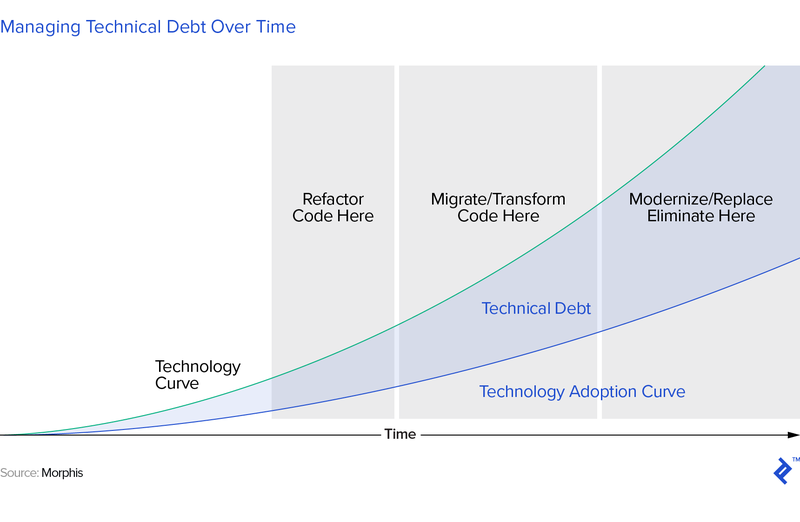 Unlike a “bug,” technical debt is not a visible defect and, thus, may not be detected so easily. Use a 2×2 matrix that can assess the ease of resolution versus the potential impact it would have. 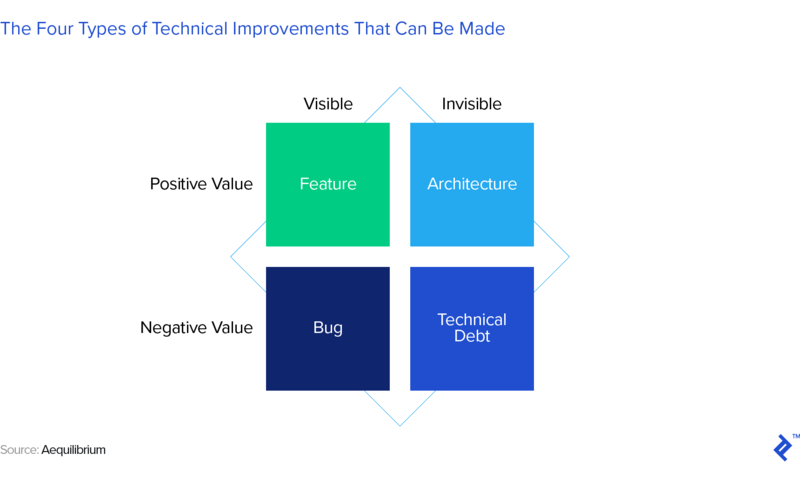 This allows you to focus on the high-impact projects first. Get your top ten ideas and put them into a 2×2 matrix: easy/hard to pay down on one axis and degree of benefits on the other. Hopefully the visual will help you figure out where to start.